I am in a situation with my H1B Max out (6 years including vacations) on 20th June 2019. My Employer filed my PERM in Dec 2018 and waiting for the approval. I have approximately 75 days from April 1st for my H1B visa Max out and need to leave the country. I cannot extend my H1B Visa until the current PERM approves and get I-140 approval before my max out date. I want advices from you all with the options available with me. Below are few questions I think of at the moment. Please help me with the options available to choose in my scenario. 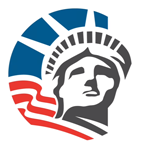 Since I filed my PERM in Dec 2018, Do I have a chance to get PERM and I-140 (Premium) Approve and then file my H1B Extension by June 2nd week. Can my Employer file I-140 in July 2019 while I am outside country if I stay for 6 years in USA till max out and return to my home country in June 2019. I think the current PERM processing is for Dec 2018 (you can confirm on the icert website), so if your PERM doesn't get caught up in an audit it will likely be certified in the next month or so. Once that happens, your company can file I-140 in premium(make sure the company is aware of the tight timeline and all I-140 paperwork is ready to go). That should give you enough time prior to June 20 to have an approve I-140 to be able to file an extension. In case the PERM is caught in an audit then you will not meet your June 20 date. In that case you will have to leave the country, but can prolong the date by filing an extension if you have any uncaptured H1-B time left. If not, you will have to leave by June 20 (latest) and then in Dec 2019 your company can apply for a 1-year extension based on a 365-day pending PERM. Once that is approved you can come back and when the PERM clears apply for I-140 and after approval, apply for a 3-year extension. Also, you don't have to leave a month before June 20. You can completely exhaust your 6-year H1-B (i.e stay till June 20) and apply for the 7th year extension based on a pending PERM or approved I-40. And yes, both PERM and I-140 can be applied for while you are outside the country.